Twenty-two employers from across Scotland were treated to a glittering evening reception in The Great Hall of Edinburgh Castle, on Thursday 10th November. The Reserve Forces Employer Awards Dinner hosted and organised jointly by Lowland and Highland Reserve Forces’ and Cadets’ Associations, was to award employers for their supportive attitude towards the Armed Forces and their personnel over the last twelve months. The main part of the evening, was an opportunity to publicly acknowledge employers in Scotland who support the United Kingdom’s Armed Forces by employing reservists, veterans, disabled veterans, Cadet Force Adult Instructors or the spouses of members of the Armed Forces. The Employer Recognition Scheme is awarded at three levels: The Bronze award can be gained by signing an electronic pledge on line. The Gold award is presented nationally in London but the Silver awards presented on this occasion are decided regionally. Employers can be nominated on line by anyone who believes that the company or organisation satisfies the criteria. Once nominated a regional board determines which of the nominations will go forward to receive the award. In Scotland a total of twenty-six were made this year, however not all were able to accept the award at this reception. The Vice Chief Of Defence Staff General Sir Gordon Messenger KCB DSO OBE ADC, presented employers with Silver Award certificates on behalf of the Secretary of State for Defence and spoke to the gathering about the value of reservists in the workplace and the additional skills and training they bring to employers through their military service. Support from employers is vital to those members of their staff serving with the Reserves. Companies gain a great deal from employing reservists on their staff such as training in leadership and teamwork and development of skills including communication and decision-making – all essential to successful companies. As well as these soft skills, the reserves carry out a lot of training that is readily transferable to the civilian workplace, such as driving licence acquisition, Health and Safety training and a plethora of other hard skills. 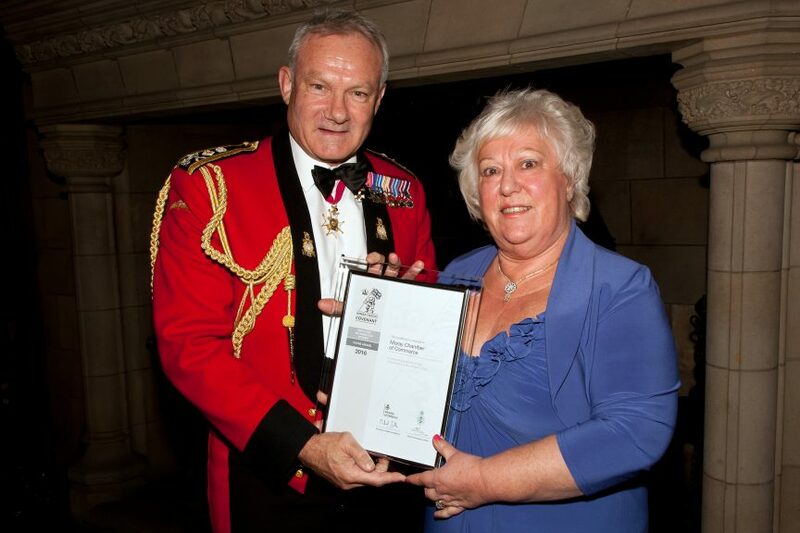 The Volunteer Reserve Forces are an integral and vital part of the UK’s Armed Forces. The Volunteer Reserve consists of the Royal Navy Reserve, the Royal Marines Reserve, the Army Reserve and the Royal Auxiliary Air Force. Members of the Volunteer Reserve, train one evening per week, approximately 2 weekends a month and a two-week annual camp and are paid at equivalent rates to the Regular Forces. Anyone who joins the Volunteer Reserve does so in the expectation that they are liable to be mobilised at some time to serve alongside their Regular counterparts.